Q: Where is your factory located9 How can I visit it9 A: Our factory is located in Fenghua, Ningbo, China. Q: How can I get the sample9 What's the lead time9 A: Samples could be sent within one week, the lead time is 35-45 days. Q: How does your factory control product quality9 A: ISO9001 Certificated, independent quality control team with 16 inspectors in our factory. 13 YRS Wuxi Puhui Metal Products Co., Ltd.
2 YRS Shenzhen Meng An Technology Co., Ltd.
OEM DESIGN SERVICE Strong designers team can support you to get the perfect styles. Any ideas or just draft drawings, pls all contact us freely. Strong designers team make sure perfect styles and solutions. Q--2 : Can you print my logo9 A: Sure, we have our own printing machine, accept your logo and artwork. Q--4: How can I do my artwork or logo9 A: Our designers will send you the die cutting after you pay the sample fee. Q--6: What's the sample time and production time9 A: Sample time are around 3-4 days and production time are in 15 workdays! 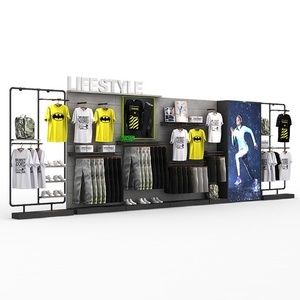 innovative flips retail paperboard cardboard display stand ,flip flops pop display ,flip flops display rack Specification : Brand Name : cardboard counter display,counter display,display counter,cardboard counter display Place of Origin : Guangdong, China Main Material : Corrugated cardboard, KT board, Grey Board, Kraft board Size, Color and Structure : Can be customized Printing : 4C (CMYK) or Pantone color printing Surface Treatment : Glossy/matte lamination, UV coating, Varnishing coating Packing : Packed in carton boxes Feature : Recyclable paper Application Places : Supermarket, exhibition, grocery, multiple store, etc. OEM and Sample : Available Sample fee : we will refund the entire sample fee if your order quantity reaches to 500pcs Sample Lead Time : 3-5 days after sample payment. 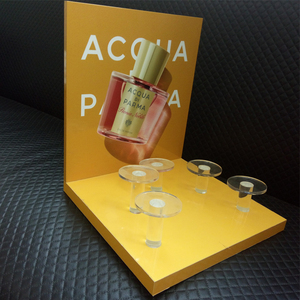 Shipping Methods : By Sea, Air or Express Lead time : 10-15 days, if you have urgent need, we can push and try to complete the cargo as soon as possible MOQ : 200 sets Packing : flat packed in the carton Pictures Show : The Products We Covers : Paper display stand, Cardboard Display, Point of sale displays, Cardboard advertising display stands, Cardboard floor displays, Corrugated hook displays, Dump bins, sidekicks displays, Pallet displays, Tiers mobile phone accessory cardboard counter display box , Paperboard Floor Display, POP standee, Retail packaging etc. 4. 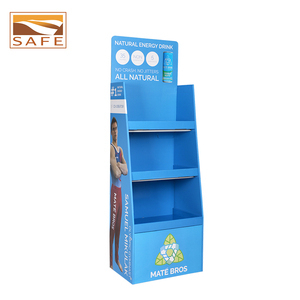 You can store or display almost anything on this unit. 5. 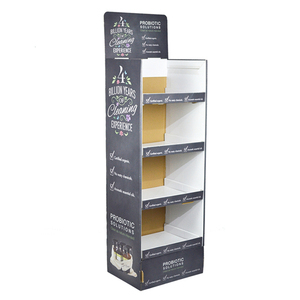 Style: Free standing single sided multi wide pegboard rack. 6. Heavy duty and solid metal structure. 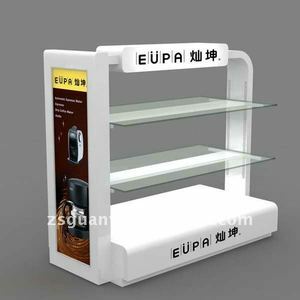 Alibaba.com offers 142,558 retail display products. About 52% of these are display racks, 10% are showcase, and 5% are supermarket shelves. 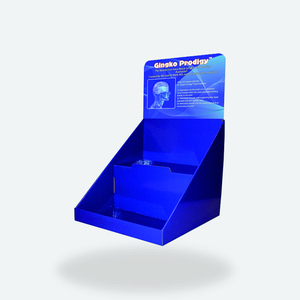 A wide variety of retail display options are available to you, such as glass, wood, and metallic. You can also choose from free samples, paid samples. 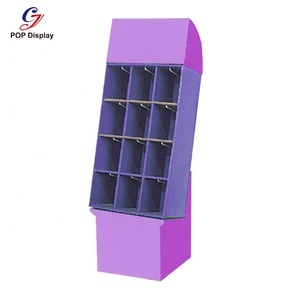 There are 142,558 retail display suppliers, mainly located in Asia. 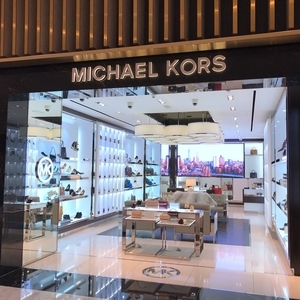 The top supplying country is China (Mainland), which supply 100% of retail display respectively. 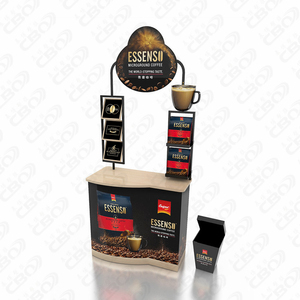 Retail display products are most popular in North America, Domestic Market, and Western Europe. You can ensure product safety by selecting from certified suppliers, including 32,289 with ISO9001, 16,757 with Other, and 9,740 with ISO14001 certification.